Laolongtou or “The Old Dragon’s Head” is part of the Shanhai Pass (also known as Shanhaiguan) of the Great Wall of China. It is where the Great Wall ends to the East and leads into the Bohai Sea. It is located in Shanhaiguan District of Qinhuangdao, Hebei and is nearly 300 kilometres (190 mi) east of Beijing. The original wall was built during the Ming Dynasty which flourished from 1368 to 1644. 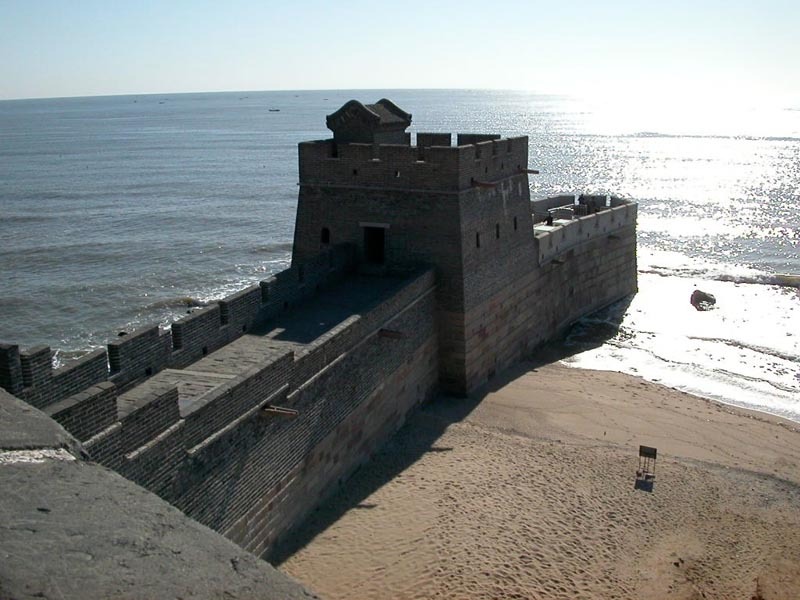 The wall extends about 20 meters (66 ft) into the sea, like a dragon drinking water. During an invasion in 1900 much of the original wall was destroyed and apparently in 1984, the people of Shanhaiguan worked to restore the wall. 0 responses to "WHERE THE GREAT WALL OF CHINA MEETS THE SEA"